The core of SIMOBA products is made from an especially designed food-grade synthetic material containing no softening agents. 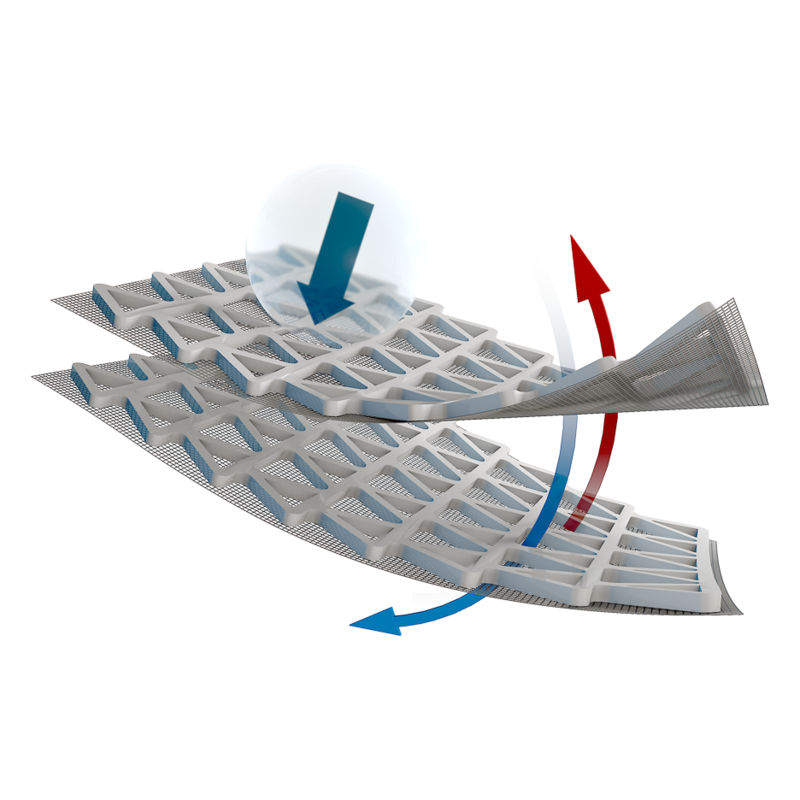 The characteristically layered honeycomb structure of the ELACERATEC® core guarantees even more load compensation. SIMOBA products remain stable in shape even under pressure – nothing will slip out of position. ELACERATEC® provides pressure and impact protection in lying, sitting and standing position.